Please note that if we are interested in your designer items, we'll get back to you in 7 to 10 working days, sometimes more than that. We only consider submissions with pictures attached to the email. 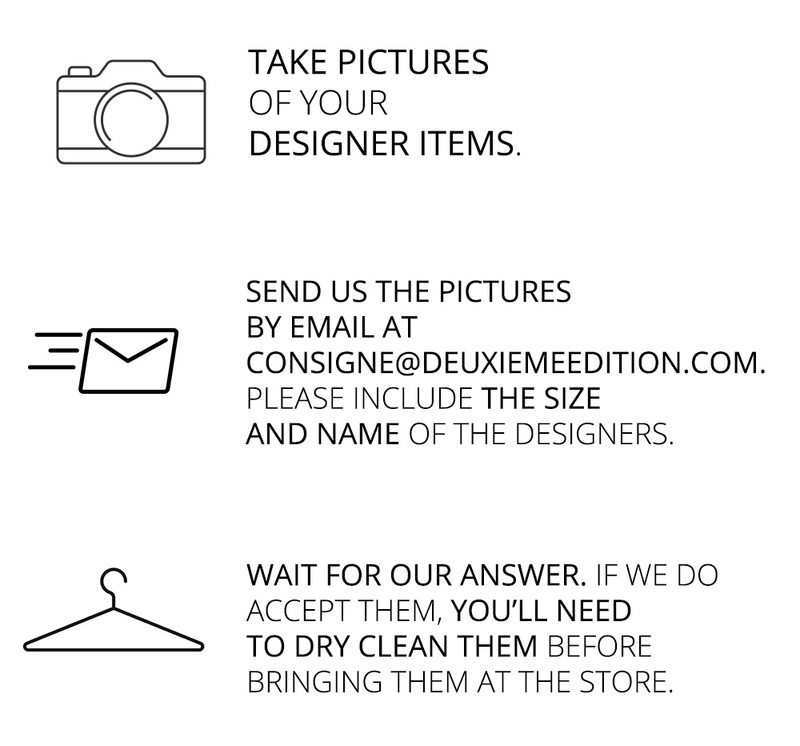 We'll get back to you only if we are taking your items in consignment. We only accept luxury and designers items. International Designers: Hermès, Chanel, Tibi, Marina Rinaldi, Equipment, Joie, Prada, 3.1 Phillip Lim, Alexander Wang, Comme des garçons, Gucci, etc. Canadian and Quebec Designers: Betina Lou, Amanda Moss, Want Les Essentiels, Eve Gravel, etc. Sometimes we accept items from retailers like: J.Crew, Banana Republic, Anthropologie, Club Monaco, French Connection and COS.
Brands we do not accept: Guess, Mexx, Tristan, Le Château, Forever 21, Gap, Zara, Juicy Couture, Joseph Ribkoff, etc.